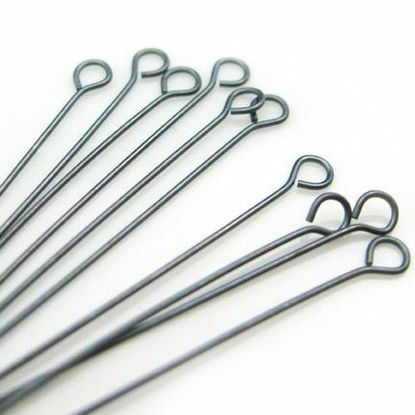 Eye pins are a short length of wire with a loop at one end. They are used to connect the piece they're attached to another piece. It will create flexibility between pieces, so the connection will be dangle, not stiff. Wholesale large selection of sterling silver findings for your jewelry making projects. 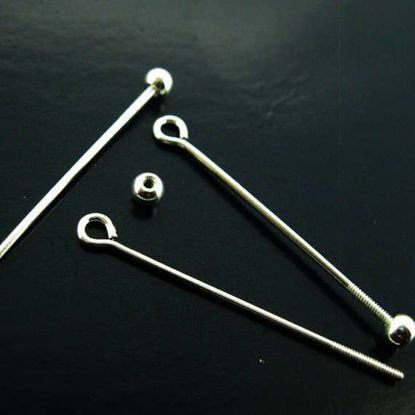 In this category, you will find sterling silver eye pin and also oxidized sterling silver eye pins. Please also check out our other category for large selection of gemstones, jewelry making chains, findings and supplies. 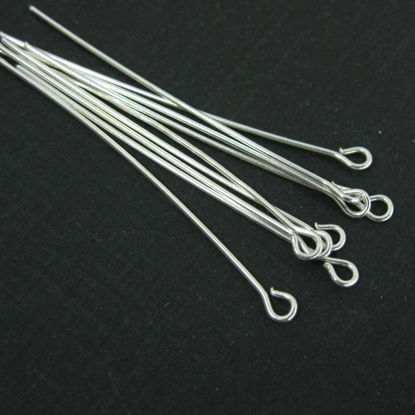 Wholesale sterling silver eye pins and oxidized silver eye pins.